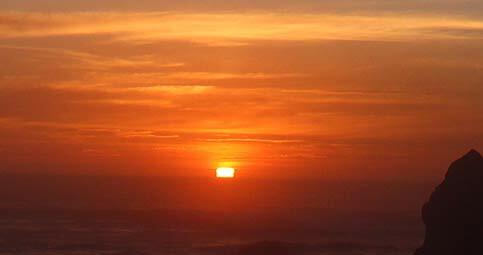 (Oregon Coast) – Sunsets are always the big attraction on the Oregon coast, but there’s more to them – if you’ll excuse the pun – than meets the eye. 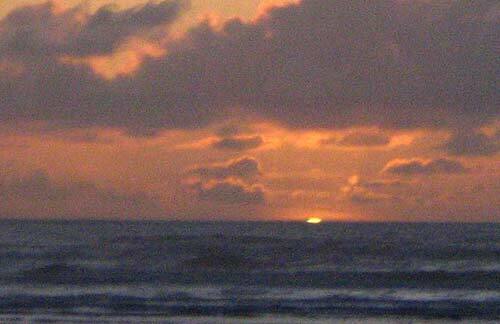 These days, as crowds of strangers gather together at certain vantage points to watch summer sunsets, you now often hear someone else around you talk about hoping to see the famed “green flash.” One of the more coveted sights on the Oregon coast is that beautiful oddity, and it is really quite rare. It’s so rarely photographed that some science people still don’t believe it exists. Essentially, it means that the atmosphere between you and the sunset is under just the right conditions so that it knocks all the color bands out except the green, leaving that color to briefly dominate. 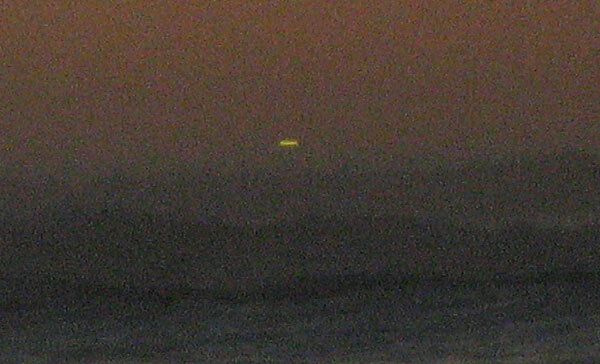 You have to have just the right conditions for a green flash, and that usually include no clouds between you and the horizon. Being on a high vantage point helps too. 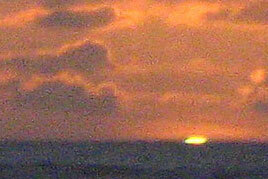 The green flash is a cousin of an unusual ocean weather phenomenon called the Novaya Zemlya effect (above, where you can see a hint of green at the top). Considered quite a rarity in some ways, it may actually be more common to the Oregon coast than many think. This effect creates an illusion where it seems the sun is setting later than it really is – a kind of double-headed sunset or even a triple one. In the simplest terms, it's a kind of polar image mirage of the sun right above itself. These happen at sunrises as well, giving the impression the sun is higher than it really is.